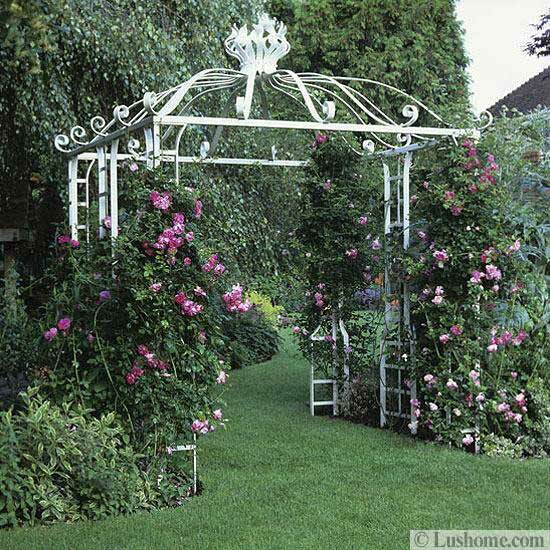 Metal arches are beautiful garden decorations. Combined with flowering plants they improve yard landscaping by adding a surprising detail to outdoor living spaces and adding dimension to garden design. 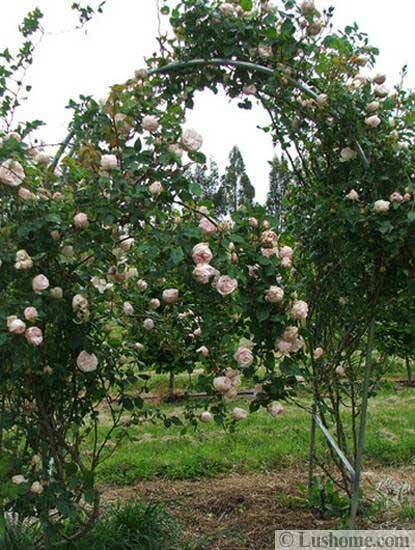 Metal arches provide good supports for climbing plants. These yard decorations come in many different styles and styles. 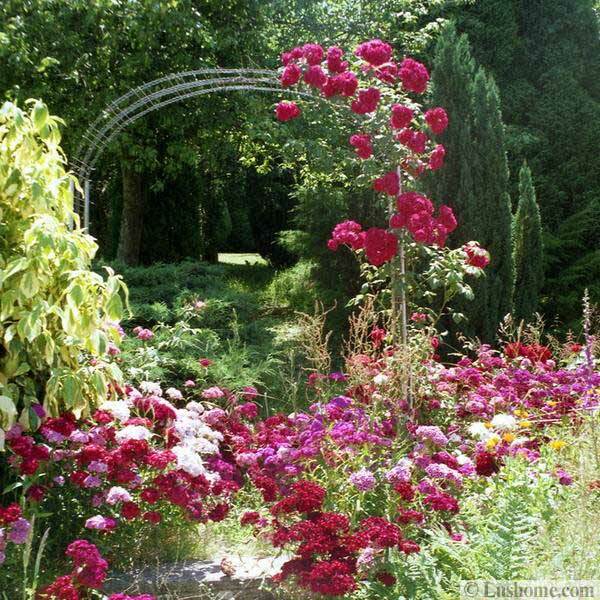 They can be used for decorating a garden path, the home entrance, patio design or creating a shady spot with a garden bench to relax and enjoy beautiful views and attractive yard landscaping. 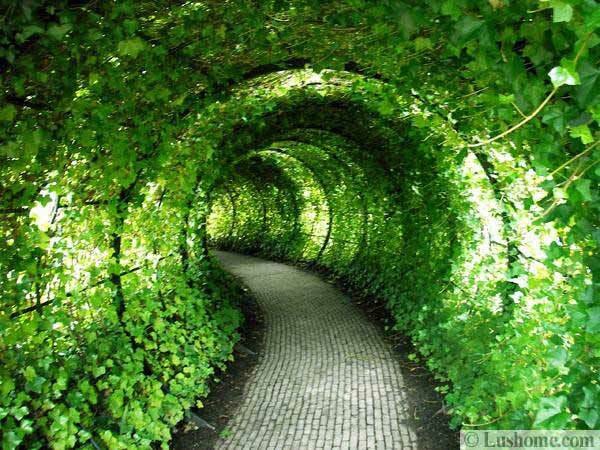 Garden arches can be made of wood and metal. The arches are functional and very decorating elements of creating pleasant and comfortable outdoor living spaces. 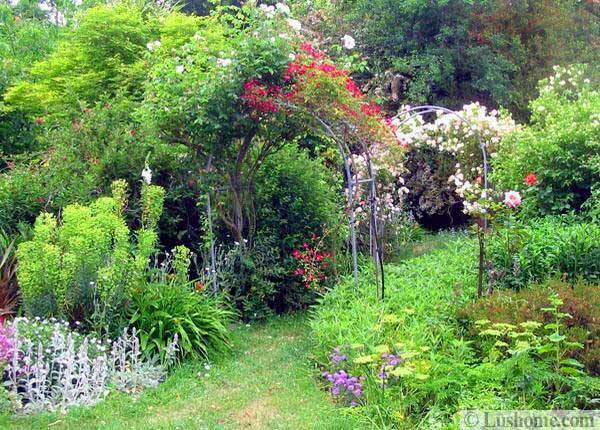 They bring romantic and soft atmosphere into homes, personalize and beautify yard landscaping ideas. Lushome collection is created to demonstrate how metal arches can add charming vintage style to outdoor living spaces. 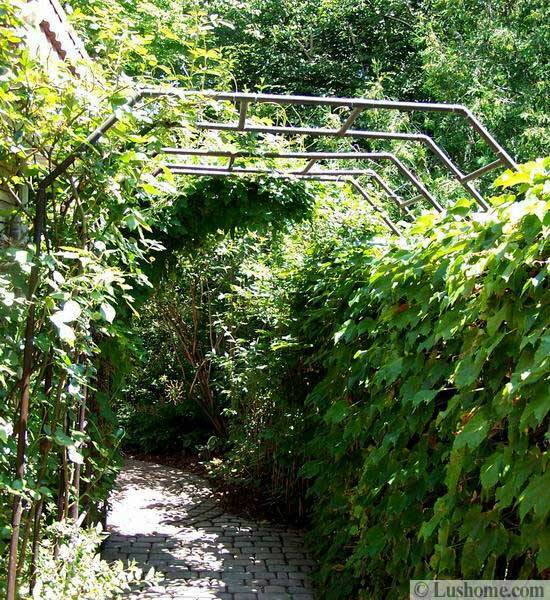 One of the most common uses of garden arches is entrance or patio decorating. 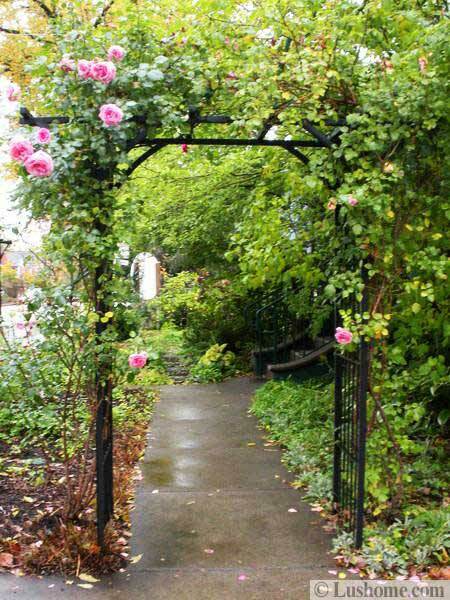 An entrance to the garden or a garden path with a metal arch and flowering plants look interesting and romantic. 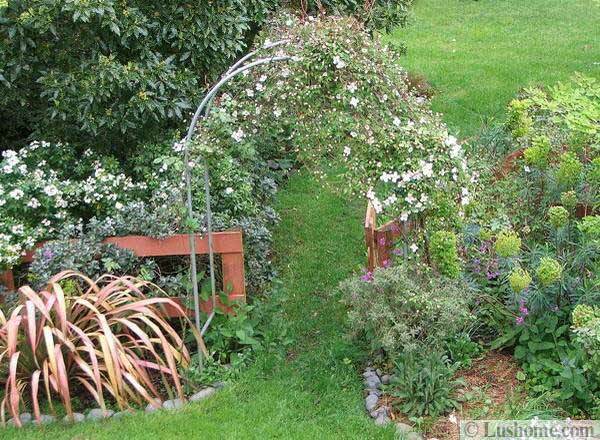 Metal arches are strong and durable, great for old plants. Flowers make them look fabulous, adding color and aroma to yard landscaping and garden design. 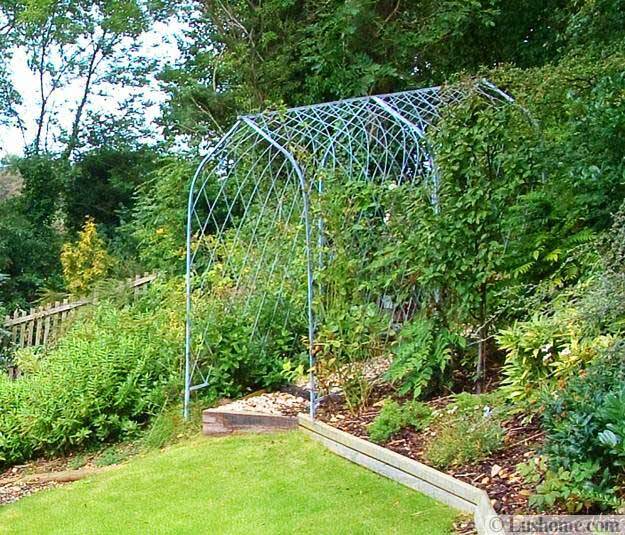 Metal arches can be used for defining different areas of a garden. 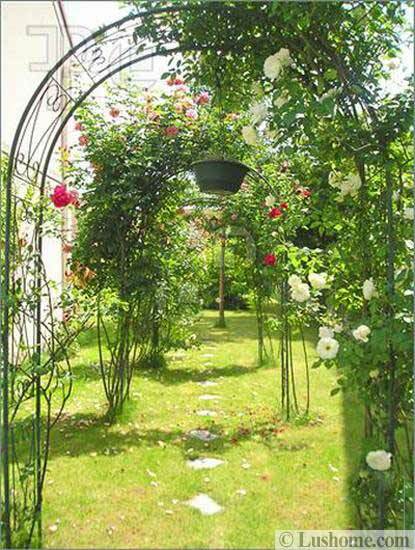 Using a metal arch for a doorway between outdoor rooms and creates a sense of functional realization and makes a journey within the garden more pleasant and interesting. 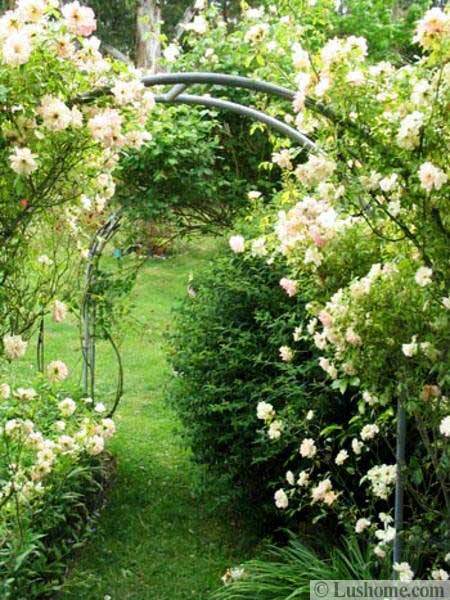 Metal arches with flowering plants create a sense of mystery and intrigue and surprise visitor with creative garden design. 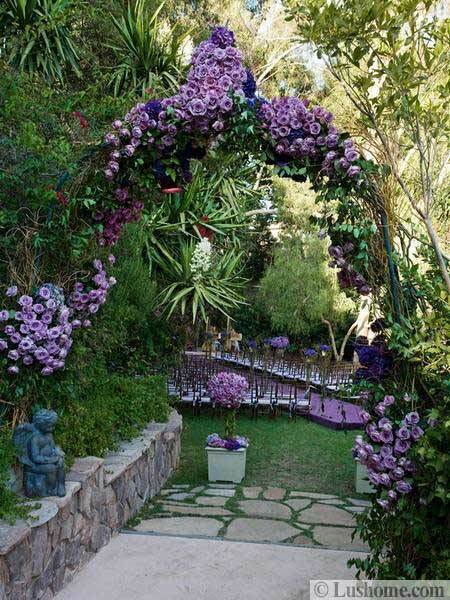 Garden arches with plants and flowers make fabulous centerpieces for yard landscaping and garden design. Arches are universally appealing and practical, especially when these wonderful garden decorations are combined with benches or patio designs. 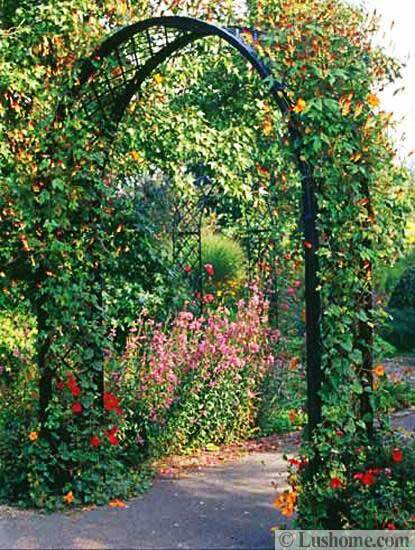 Garden arches add a vertical element to yard landscaping. 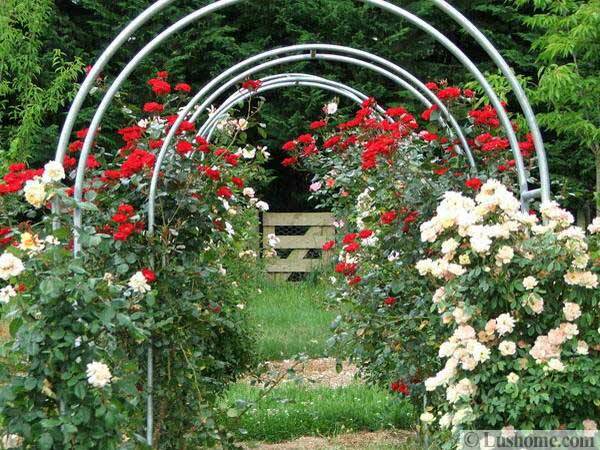 Wooden and metal arches provide instant height within a garden and harmonize yard landscaping ideas. 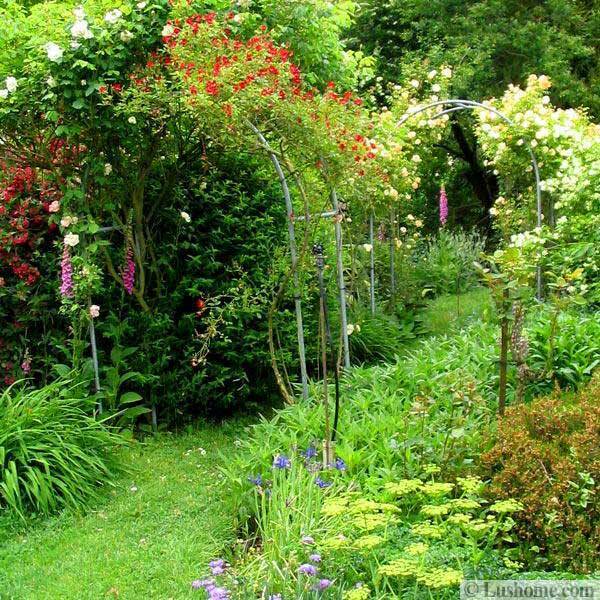 It takes a number of years for bushes and trees to grown to add a vertical element to garden design, but garden arches can do it instantly, improving yard landscaping ideas and bringing balance into garden design. 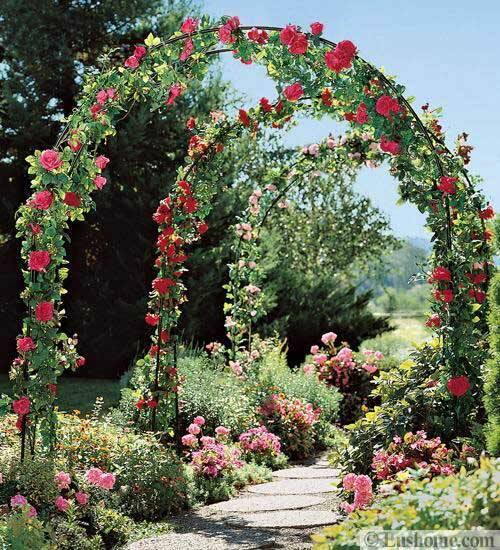 Garden arches can be used to frame a path, an entrance, a nice view of a focal point of garden design and a distant view of picturesque surroundings. Garden arches are great for decorating patios and garden benches, creating more peaceful, comfortable and attractive yard landscaping. A wooden or metal arch can create calming and inviting outdoor living spaces. 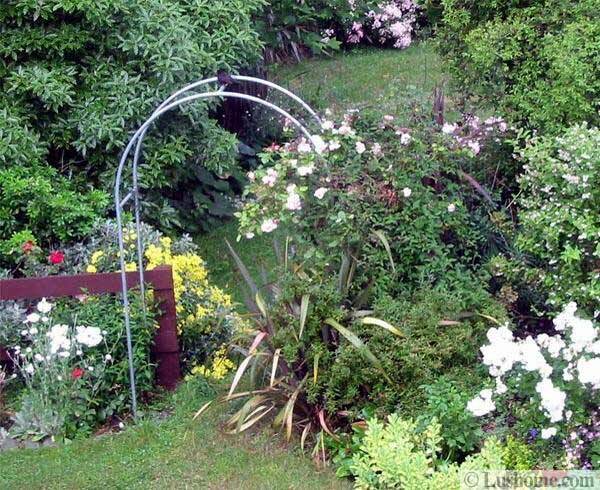 Outdoor home decorating with garden arches is simple, quick and easy. Wooden and metal arches, pergolas, gazebos and light sun shades work wonderfully for any garden design. Add a canopy to a metal arch creates a comfortable place to reas or meditate. Flowering plants enhance the look and feel of these simple, practical and beautiful garden decorations making outdoor living spaces perfect for quiet activities. Stone pathways and patio ideas can be combined with wooden or metal arches creating inviting outdoor seating areas, BBQ and dining zones. A light screen with a wooden or metal arch can provide privacy for an outdoor pool area. A green fence can work well for the decorative screen. 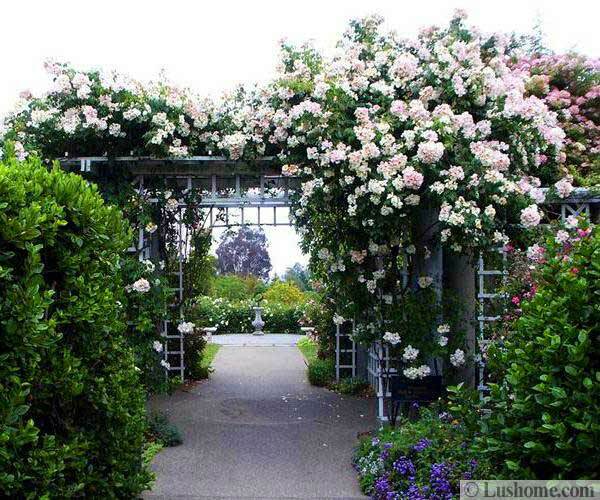 Combined with a metal arch and climbing plants, they add a romantic vibe to a path. 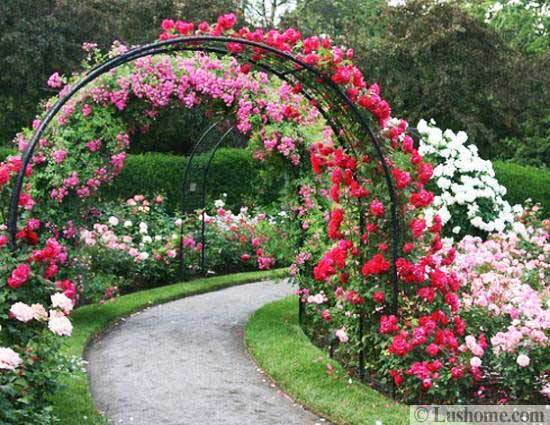 Wooden or metal arches can lead to a rock garden, a gazebo, a pond or a tennis court. 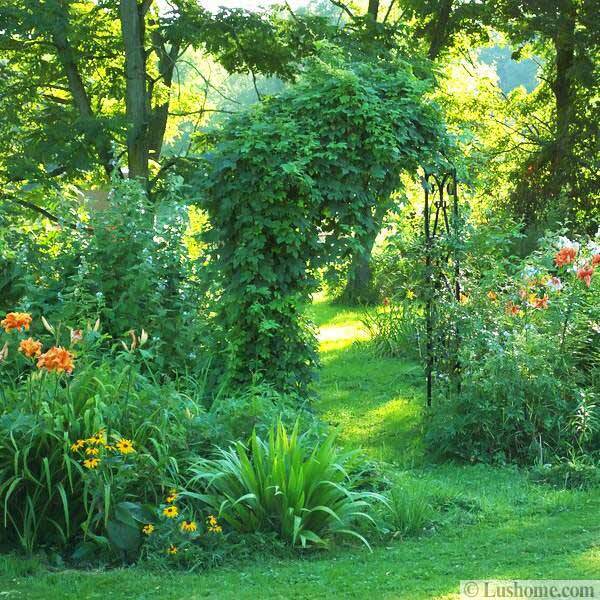 Garden arches enhance outdoor living spaces in many ways and offer numerous yard landscaping ideas.